Trails and Walkways - Paving Professionals, Inc.
Asphalt pavements provide a continuous, smooth, joint-free, low maintenance surface. This flexible pavement alternative is quieter with superior smoothness preferred for cycling and rollerblades. Joggers and walkers also prefer the softer surface asphalt pavements provide. Asphalt pavement repairs can be made quickly and less costly while blending into the existing pavement structure. 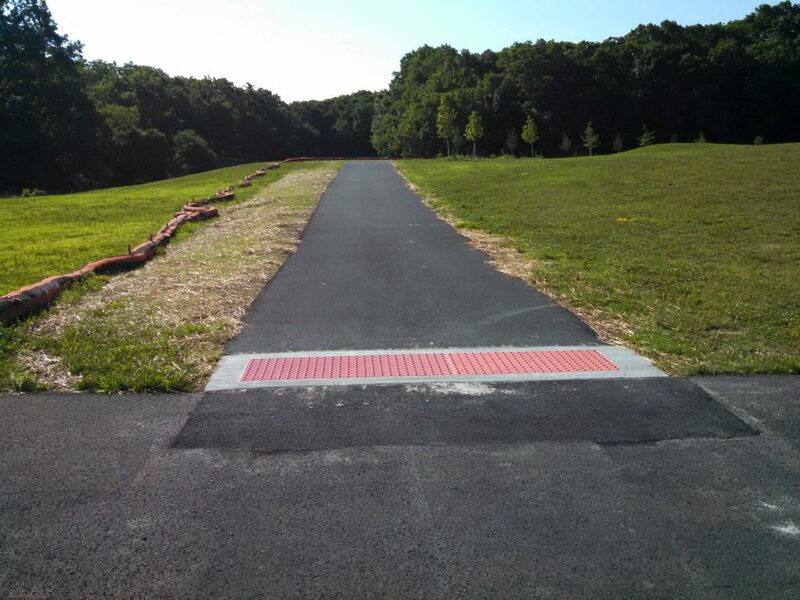 Asphalt paved trails and walkways, when constructed with asphalt pavement, are not nearly as expensive to replace. Our team will complete pavement markings such as centerline stripes, crossing warnings and other markings needed a few days after the paving is completed. This short period of time allows the asphalt film on the pavement surface to cure so that the paint bonds well. However, if desired, the trail can be used and enjoyed by the public as soon as the construction is completed.